JUNE 1-8, 2019 On board the new National Geographic Quest! With optional Denali post-trip, June 8-14, 2019 - SOLD OUT! 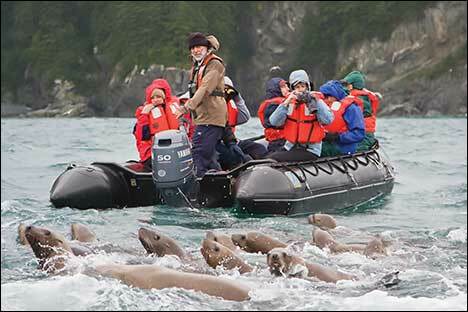 July 20-27, 2019 On board the new National Geographic Quest! 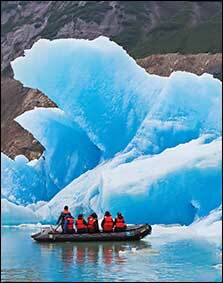 Among the planet’s most iconic destinations, Alaska is a must-see for those who love wild nature. Our mission here is to explore and to discover the authenticity of the region, and to offer unparalleled experiences in this capital of wildness. 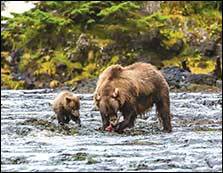 Our years of experience in Alaska is your key to enjoying the most in-depth and engaging encounters. We know the protected coves where sea otters congregate, the places bears fish for salmon, and the rich channels where whales feed. You’ll hear the thunderous crack of a calving glacier dropping ice hundreds of feet into the sea, hike the spongy trails of old-growth forests, and watch eagles fly low over quiet inlets. Explore on the new, 50-cabin National Geographic Quest, and you’ll discover Alaska’s wildness in a way you otherwise couldn’t. A nimble, shallow draft expedition ship allows you to venture into secluded areas larger vessels simply cannot reach. The ship is equipped with a complete suite of exploration tools: Zodiac landing craft, kayaks, and paddleboards to enable you to get out there for up-close personal discoveries. Plus there’s a hydrophone, bow cam, and more to make your whale-watching experiences even more memorable. 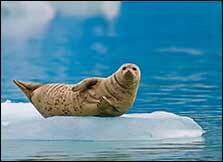 And now you can experience Alaska with all your senses thanks to the culinary team aboard ship. Much of the food prepared is sourced locally from sustainable providers, with ingredients and flavors that reflect Alaska’s wild bounty. Plus with unassigned seating in the dining room, mealtimes are more than opportunities to eat well; they are also a chance to mingle with naturalists, ship’s officers, and fellow guests. 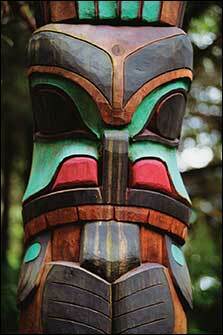 Engage in stimulating conversation and gain insight into the nature and culture of the region. The expedition team is unrivaled in their knowledge of and experience in Alaska, and will ensure that you see, do, and learn more than you ever imagined possible. 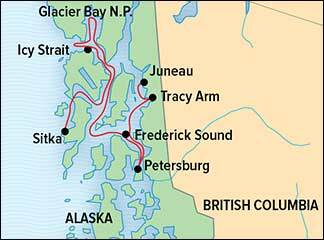 The naturalists will not only accompany you on Zodiac rides and hikes through Alaska’s forests, but will also introduce you to the rich undersea Alaska. Through it all, a Lindblad-National Geographic certified photo instructor is at your side and at your service to help you take your best photos ever. 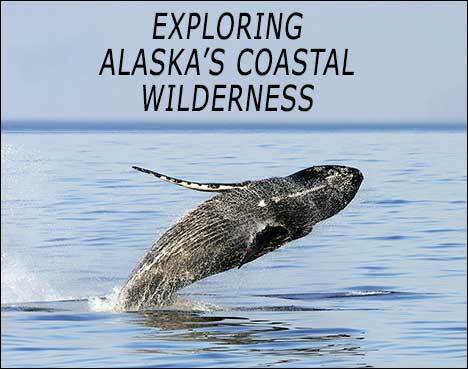 There’s no better way to experience the last bastion of American wilderness than on our Alaska expedition. Join us June 1-8, 2019 or July 20-27, 2019 and you will have memories to last a lifetime. 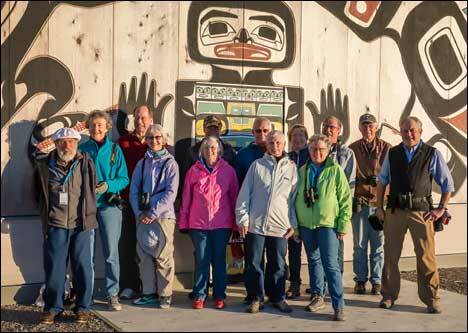 To make the most of your time in Alaska, consider adding our optional Post-Trip, June 8-14, 2019 exploring Anchorage, Fairbanks, and Denali National Park. To make your reservation, please return the enclosed reservation form or call 800-252-4910. Starting at $6,890 plus air. BRING THE KIDS: We believe sharing an expedition with your kids or grandkids is a life-enhancing experience. So, take $500 off the double occupancy price for each person under 18.